Has the Right to Information (RTI) Act, widely described as a groundbreaking law with the potential to completely change how the country is governed, lived up to its promise in the two years of its existence? It is tempting to answer in the affirmative, but some qualification and elaboration are necessary. The citizens at large, guided by civil society activists, have been enthusiastic in filing RTI applications. There have been many instances of normal, usually helpless, citizens having got their work done by seeking appropriate information. While instances of educated city dwellers getting their passports and uneducated city dwellers getting their ration cards are well known, the impact in rural areas, at least some, is not so well known. Instances such as a poor villager in Gujarat who was beaten up by local authorities for asking why a sanctioned well had not been constructed, being given a choice on the location of the well once he filed an RTI application and the well actually being dug at the place of his choice, are not too infrequent. The reluctance of public authorities to divulge information has led to more and more appeals and complaints being filed with appellate authorities, and the State Information Commissions (SICs) and the Central Information Commission (CIC). Increase in the number of appeals and the limited disposal by the CIC have resulted in increasing backlog. The latest CIC figures show that the number of pending cases has steadily risen from 638 in April 2006 to 3,898 in September 2007, an increase of 511% in 18 months —a rough indication that pendency is likely to increase at about 30% per month! It doesn’t take much to see when the so-called RTI system will come to a complete stop due to clogging just like the courts today. The RTI Act is different from any other law. This is the only law that gives the governed the right to question those who govern, and that too at the pain of a fine. The onus of ensuring its implementation, in the right spirit, is with the citizens. It is for the citizens to put pressure on public authorities by all possible means to disclose information, and also attempt to ensure that while common citizens get their mundane jobs done and escape harassment at the hands of government officials, unscrupulous elements do not misuse the Act for blackmail and extortion. Civil society organizations have to play a critical role by disseminating information about the Act and its usage, and using it to make systemic corrections rather than limiting its use to solving individual problems. The role of the CIC and SICs, as the statutory intermediaries between the citizens and public authorities at the Centre and in the states, respectively, is the most important factor in effective implementation. The experience of the last two years has given out mixed signals. Two main features here are the appointment of information commissioners (ICs) and the way the CIC and SICs function. An overwhelming majority of ICs have been retired civil services officers, primarily from the IAS. While exceptions that, as the cliché says, prove the rule do exist, it is unfair to expect anyone to shed a mindset acquired and reinforced over around 35 years—the average service period of a bureaucrat. Although the Act provides for ICs to be “persons of eminence in public life with wide knowledge and experience in law, science and technology, social service, management, journalism, mass media or administration and governance," the government has chosen to depend on the tried and tested ones. That the government of the day controls the purse strings also places limitations on the CIC and the SICs. Given the background of most ICs, the SICs and CIC usually function either like government offices or courts. It is important for ICs to remember and for civil society to remind them that once appointed as ICs, they do not remain government employees and that the CIC and SICs are not judicial but quasi-judicial authorities. With this mixed experience, bordering on the positive, where do we go next? There have been proposals from the government, and sometimes demands from some sections of civil society, to amend the Act with the expressed intention of “improving" it. But the efficacy of any law often depends more on implementation than content. Though the practice of sati was banned by law during the time of Lord Bentinck in 1829, Roop Kanwar happened in 1987, and there were at least two reported cases in 2006—one in Uttar Pradesh and one in Madhya Pradesh. The RTI Act, as it exists today, is one of the best in the world, but its efficacy will depend on what “We, the People," make of it. 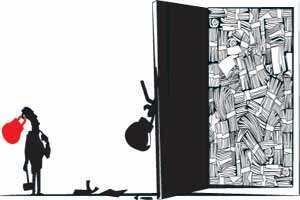 Two years is too short a time for testing the worth of a law like the RTI Act. We need to do a lot more to make it work better.